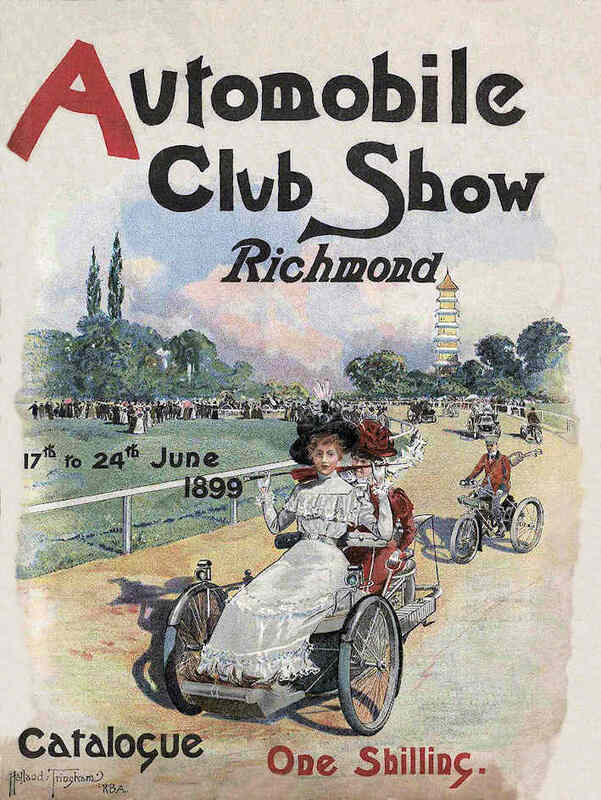 Illustrated the catalogue and the poster for the 1899 Automobile Club Show at Richmond. The Public Record office at Kew have a copy of the poster. 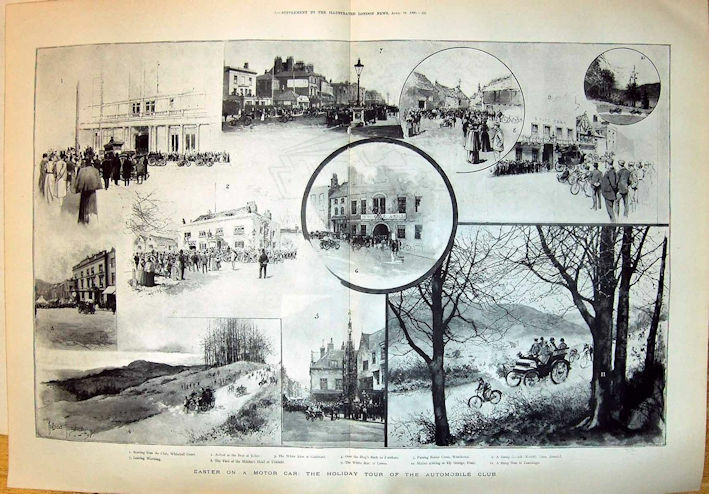 Tringham was a painter and architectural illustrator. 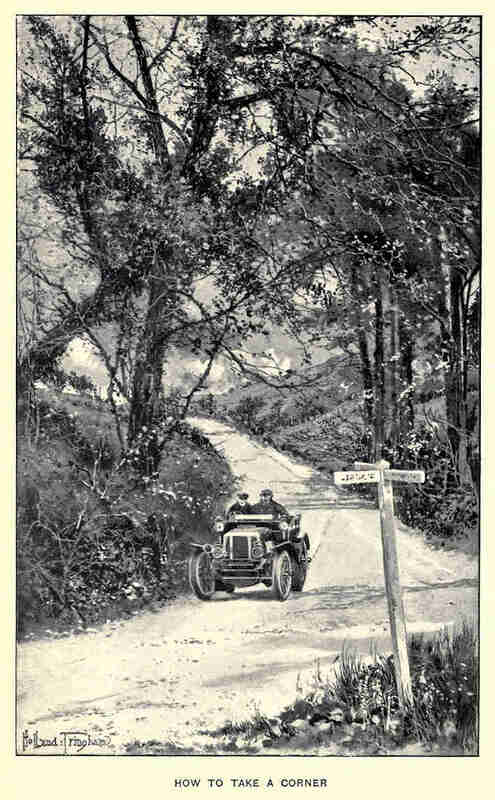 He also contributed illustrations for the book 'Motors and Motor-Driving' by Alfred Harmsworth et al. This was first published in 1902 as part of the Badminton Library. Holland Tringham - Wikipedia, the free encyclopedia Wikepedia link to information about the artist. How to Take a Corner from Motors and Motor-Driving. Image courtesy of Stuart Middlemiss. 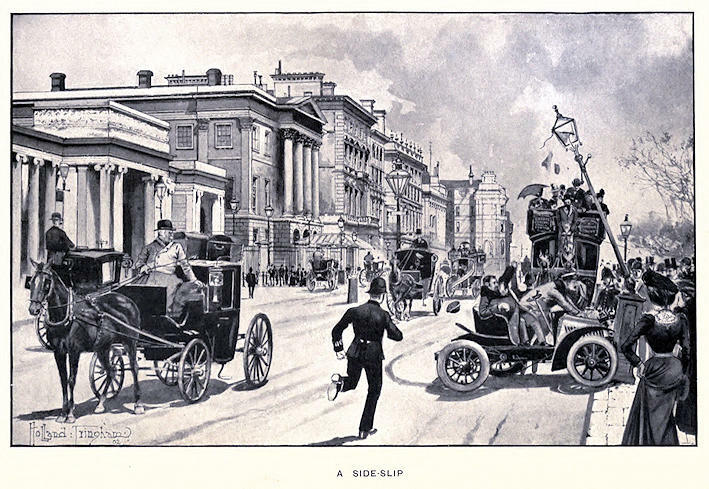 A Side Slip from Motors and Motor-Driving. Image courtesy of Stuart Middlemiss. 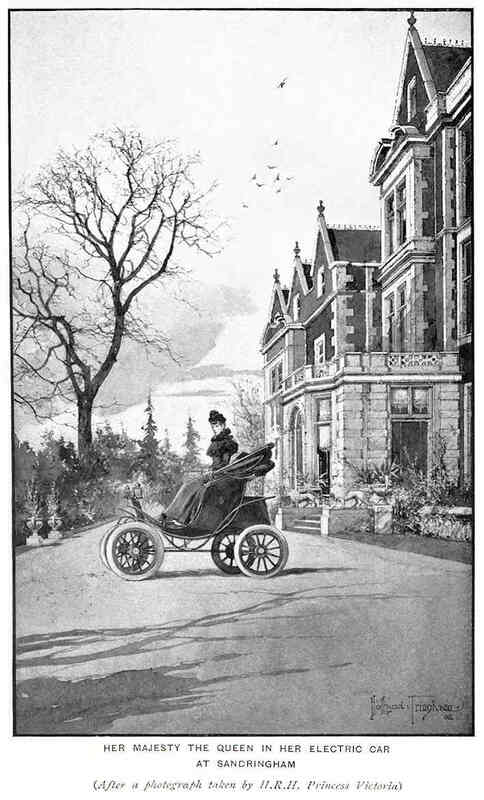 Her Majesty The Queen In Her Electric Car at Sandringham from Motors and Motor-Driving. Image courtesy of Stuart Middlemiss.